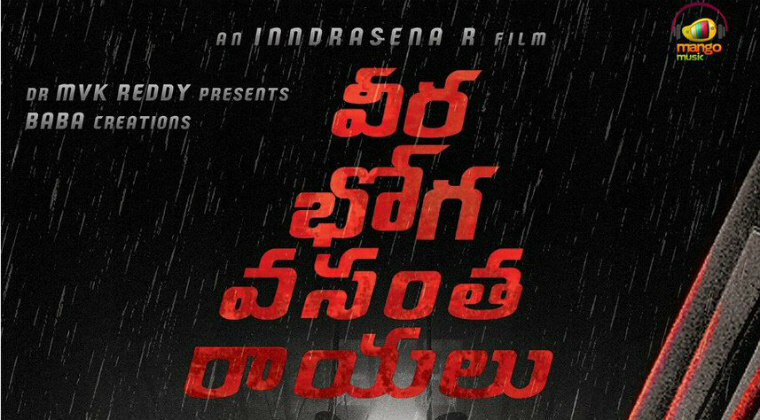 The first look of ‘Veera Boga Vasantha Rayalu’ is unveiled. This film stars Nara Rohith, Sree Vishnu, Shriya and Sudheer Babu in the lead roles. The first look poster has a male figure upside down and his identity is not revealed. Indrasena is directing the movie and “AWE” fame Mark K Robin is composing music.